An interesting new project in the form of a VR game with Oculus Rift support intended to help people with depth perception issues such as amblyopia (lazy eye) or strabismus (crossed eye). The game Diplopia takes advantage of the wealth of new information in scientific studies that have come out in the past couple of years to create an experience that will effectively train people who have a suppressed eye to use that eye in conjunction with their good one. Evidence shows that with a simple well designed game it only takes 1-2 hours a day for 2-3 weeks for a person to get measurable improvements in their vision. The game is inspired by Breakout and DX Ball, where you bounce a ball around a room with a paddle to destroy blocks, unlocking power ups. By manipulating the contrast of game elements such as the bricks, ball, and paddle you can force the brain to integrate the two images. By showing only some of the game elements to each eye Diplopia forces the player to incorporate information coming from both in order to win. 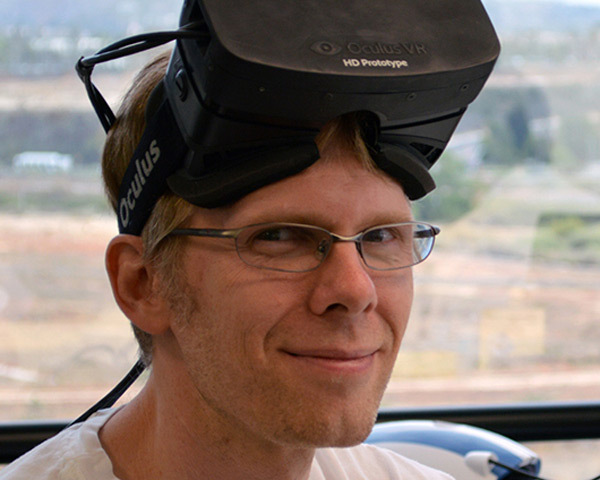 It is interesting to note that the developer of the game James Blaha, a programmer with crossed eyes causing a loss of depth perception, so the development of the project was started also in order to help treat his eye condition and potentially restore the normally in 3D using stereo vision as well as to help other people with similar eye problems. Diplopia is currently ongoing a crowdfunding campaign at indiegogo and has already moved past the initial goal of $2,000 USD.